Asthma sufferers know the terrible feeling of being "under attack." They feel totally helpless every time they gasp for breath and endure the agony of suffocation. That's why I developed asthma hypnosis CDs. But the damage extends far beyond that. Asthma makes life extremely difficult for its victims. It prevents them from sleeping normally, interacting with others, playing sports and pursuing other normal activities. Besides, it's very frustrating to live with the fear that asthma can strike anytime, anywhere - without warning - putting its victim in an embarrassing situation. Asthma attacks account for the death of around 250,000 people yearly. Indeed, asthma is a very serious concern that needs immediate attention. It's unfortunate that almost no amount of conscious effort can eliminate an asthma attack once it starts, because the problem is caused by constricted airways. Medication and inhalers may help, but they can produce devastating side effects that can leave the asthma sufferer in a worse condition than before (more about this later). I've discovered a powerful hypnosis asthma technology and created a set of asthma hypnosis CDs that has safely and quickly cured countless people from their asthma attacks... no matter how severe or persistent their condition may be. A few moments from now, I'll reveal more details about this 100% all-natural, inexpensive and highly effective way to cure asthma attacks. Asthma can be attributed to emotional or physical causes. Intense emotions brought about by crying, shouting, anger, or laughing hard. There are also various physical causes of asthma, but the main culprit is allergies. Around 80% of asthma sufferers experience allergy symptoms when they consume certain foods or when they are exposed to certain objects such as mold, pollen, trees, grass, animal fur and dust mites. Since allergies and asthma often go together, some prescribed or natural allergy cures may help reduce the symptoms of asthma. But even though an allergy cure may give temporary relief to the sufferer, it may not be enough to completely treat asthma for the long term. Many of these causes cannot be avoided, so most people are turning to drugs and inhalers to stop their asthma. But beware... The health risks can be fatal! Many asthma sufferers rely on their medication or inhaler to keep them safe. But there's always a price to pay when you allow yourself to become dependent on a drug. What happens if you forget to take the pill or inhaler? What happens if it runs empty when you are away from home? And most critical of all, the side effects may far exceed the benefits you stand to gain. So if medications or inhalers are not the ideal solution, what is? Through hypnosis treatment, you may become much more relaxed overall and greatly reduce the possibilities of having an asthmatic attack. And even if you do have an attack, the severity of the attack is generally reduced to a great extent. 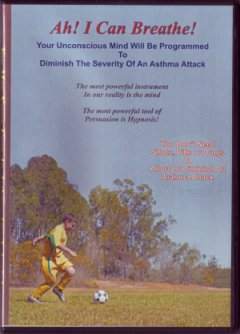 Most people can be taught to abort an impending asthmatic attack through specialized techniques and post-hypnotic suggestions using hypnosis for allergies and asthma. I've used these hypnosis for asthma methods with excellent results on many of my clients and their children over the years. As a matter of fact, most people can sense when they are about to have an attack. And they can learn how to abort it before it even happens, using my hypnosis allergy and asthma technology. My asthma hypnosis CDs have allowed my clients to feel more relaxed and free of fear regarding an asthma attack. After a very short while, my clients have learned to abort an impending asthma attack. Should they still have an asthma attack (which is unlikely), it will be reduced significantly to a point where it won't bother them. This is a fact, it is impossible to consciously eliminate asthma. Therefore, this program was created to interact with the subconscious. 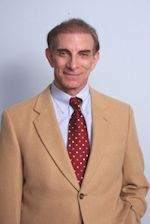 The Neuro-Linguistic Programming and hypnotic techniques in my program can actually give any asthma sufferer the ability to relax the diaphragm, release constricted airways, and get breathing back to normal quickly... much better than any other cure for adult or children's allergies and asthma. Amazingly, hypnosis is a technique that triggers the healing process so it comes naturally and automatically from the within the unconscious mind. Therefore, no willpower is required. I'm thrilled to tell you that after using these hypnosis and NLP CDs, my clients have been able to abort asthma attacks! We've taken the full program, which was originally recorded on 6 separate CDs and moved the same 6 full sessions onto 2 CDs which saves you $35.00. All sessions can be individually accessed, just like when you change songs on a music CD. Everyone who places an order for "Ah! I Can Breathe!" enjoys the same experiences that my office clients do as they go through private hypnosis sessions (six) for asthma. My "Ah! I Can Breathe!" asthma program guides the you through every step that is necessary gain control over asthma attacks through Hypnosis. Why Is "Ah! I Can Breathe!" Far More Effective Than Any Other Anti-Asthma Hypnosis & NLP Program? There is a broad spectrum of different hypnosis and NLP techniques used in this Six Session program. It's just like visiting my office in person . What Would You Invest To Stop Asthma Attacks And Breathe Easily? The clients who visited my office because of their asthma suffering know how awful asthma attacks are. So when learned that they could learn to alleviate this condition, they jumped on the opportunity. They felt that a fee of $480.00 was quite reasonable. But because you're getting the same sessions (and results) in CD format, I have significantly dropped the price for you. That is a fee of only $7.46 per session! And 91% LESS than the cost of the same sessions in my office. Download of Instructional Session 1 & a Power Relaxation MP3. Broadband connection is required. No sales tax and no shipping fees. Order Ah! I Can Breathe! Want to learn a lot more about how to eliminate Asthma? Read my article on how to eliminate Asthma. My clients have eradicated their asthma attacks using my hypnosis asthma and allergy treatment, and I love hearing about their life-changing experiences. Now it's your turn. I'm looking forward to hearing how fast and easily you've broken free from asthma. Greetings- I just wanted to thank you and let you know that the hypnosis cd's that I purchased are working very well! There was a big change after listening only once. I listen to them every night on repeat over and over again. They are so relaxing. I still use my inhaler but not very much. I'm sure eventually I won't have to use my inhaler at all. I will be purchasing more cd's. Thanks again!